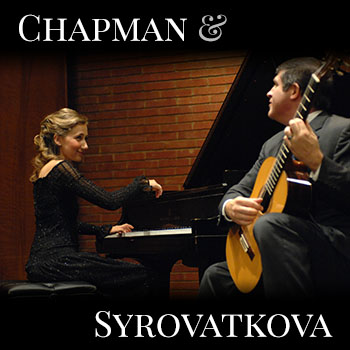 David Chapman, guitar & Karolina Syrovatkova, piano perform together in an intricate and refreshing harmonic dance. Tickets can be purchased online anytime or at our box office during specified hours. Faculty, Staff and Student ticket holders are required to present Warrior Card or student ID at the door. Persons with disabilities who anticipate needing special accommodations or who have questions about physical access may call Neesha Oliver (209) 667-3421 in advance. View building 6a on campus map. Parking in lot 3 is free beginning 1 hour prior to the event.